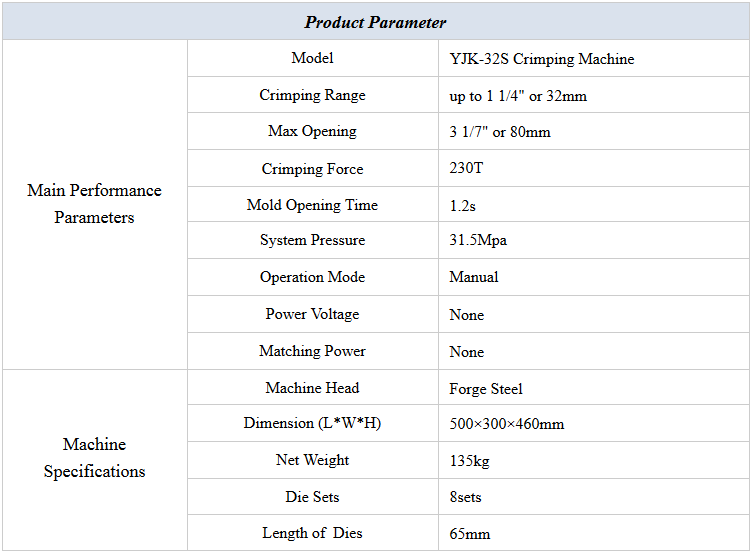 Model YJK-32S manual Hose Crimping Machine is a portable type of machine which is simply designed and convenient for operating and carrying. It takes manual pump of extra high pressure as power source. 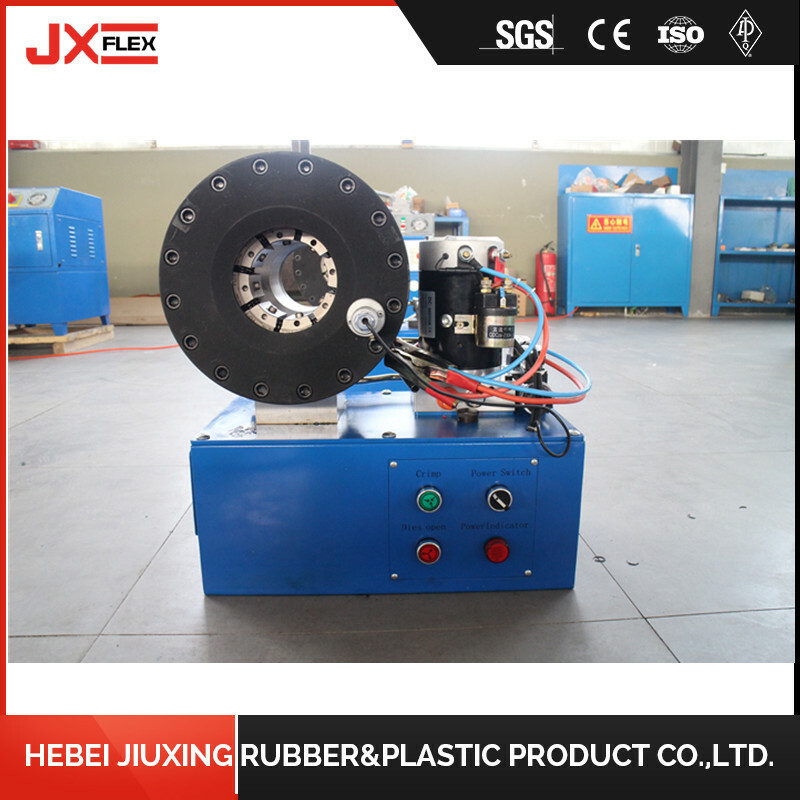 So this Tube Swaging Machine suitable for the outdoor work and production without electric power. 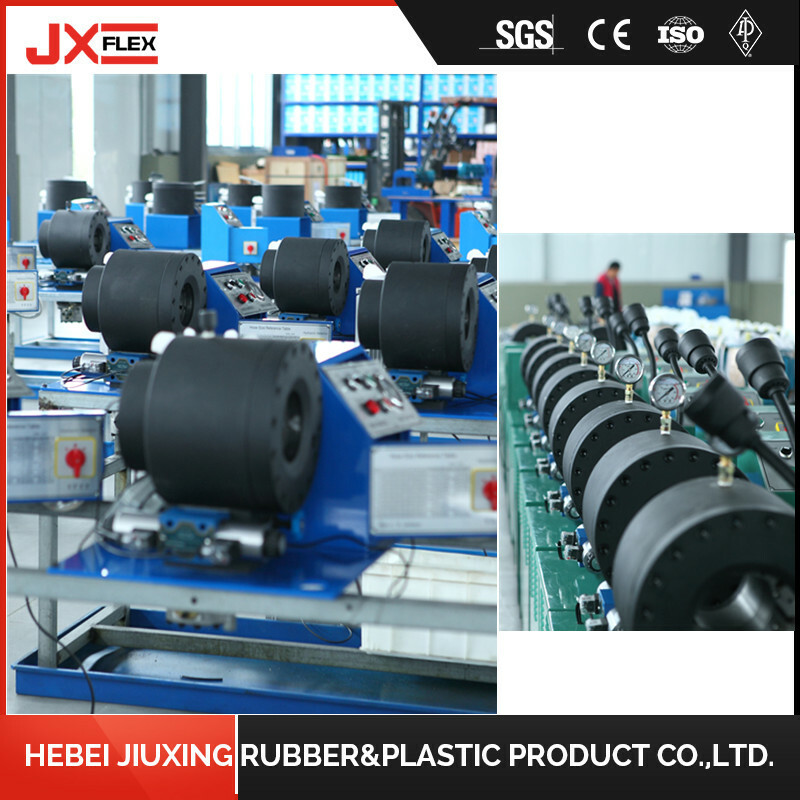 YJK-32S Hydraulic Swaging Machine is mainly used for crimping processing for high pressure Hydraulic Hose Assembly in the mechanical engineering. 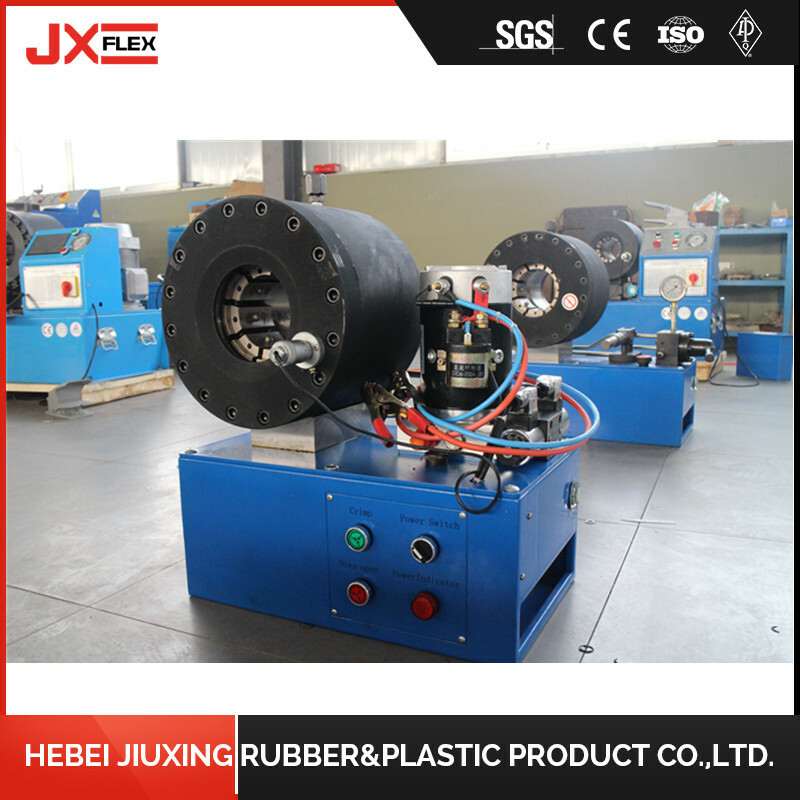 Crimp Hose Swaging Machine can also be used for crimping steel pipes, irregular shape pipes and so on. 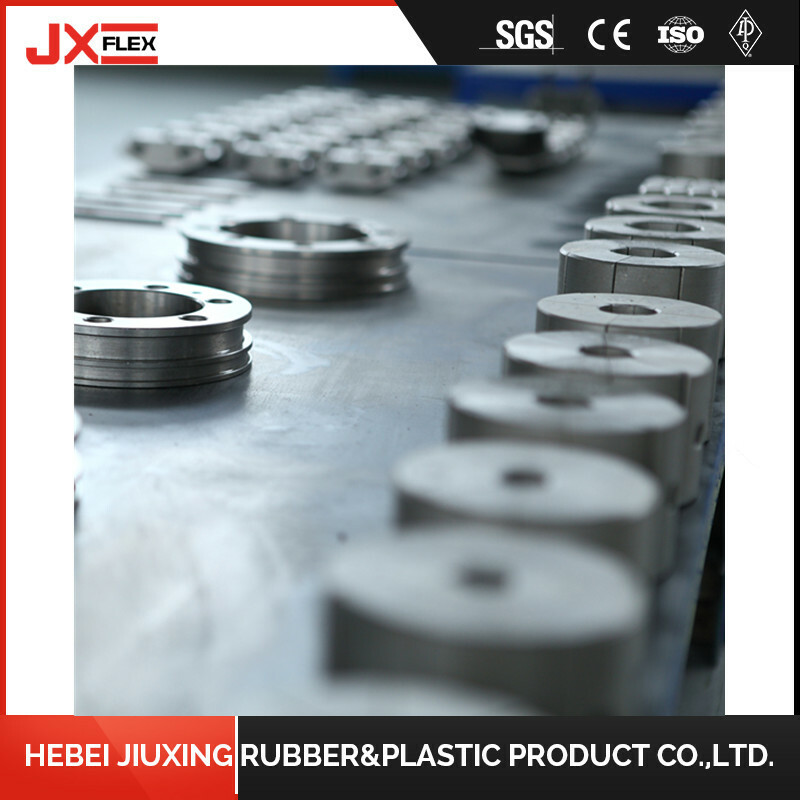 1) Using forge steel machine head, this kind of steel is more durabler than general steel. 2) Simple controls and operation. 3) Small body, simply designed, convenient for operating and carrying. 4) Suitable for outdoor work without electric power. 5) Magnetic dies (Patented), very convenient to remove and install dies. The normal package for our Crimp Hose Swaging Machine is Wooden Plywood Crate. 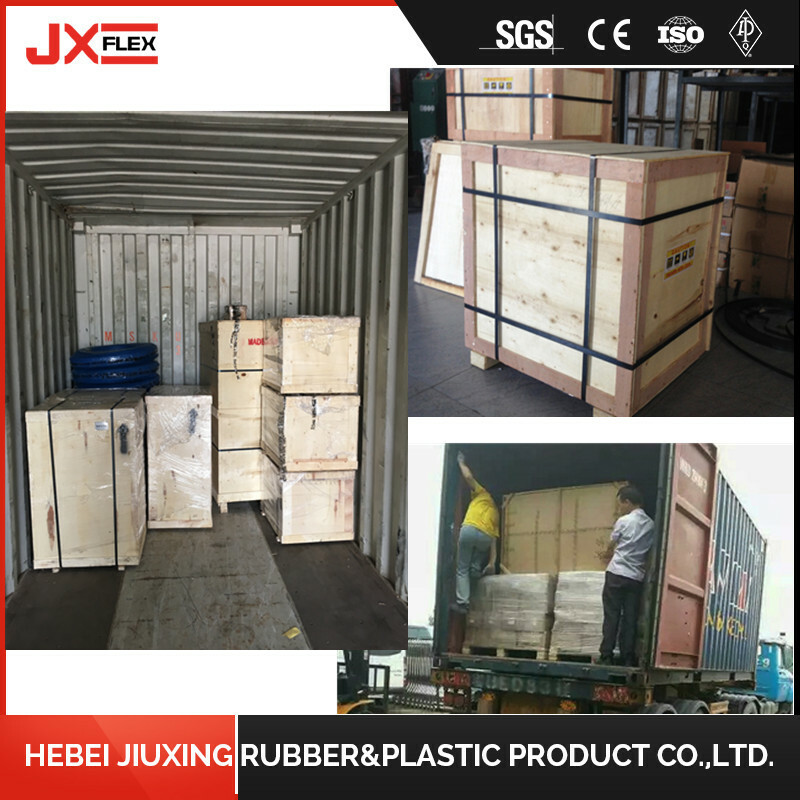 The outside package is standard export wooden case, and the inner package is stretch film or packaged according to customers special request. Model YJK-32S Tube Swaging Machine Use Cr12 standard die steel which is a classical alloy tool steel, domestic implementation standard is GB/T 1299-2000. 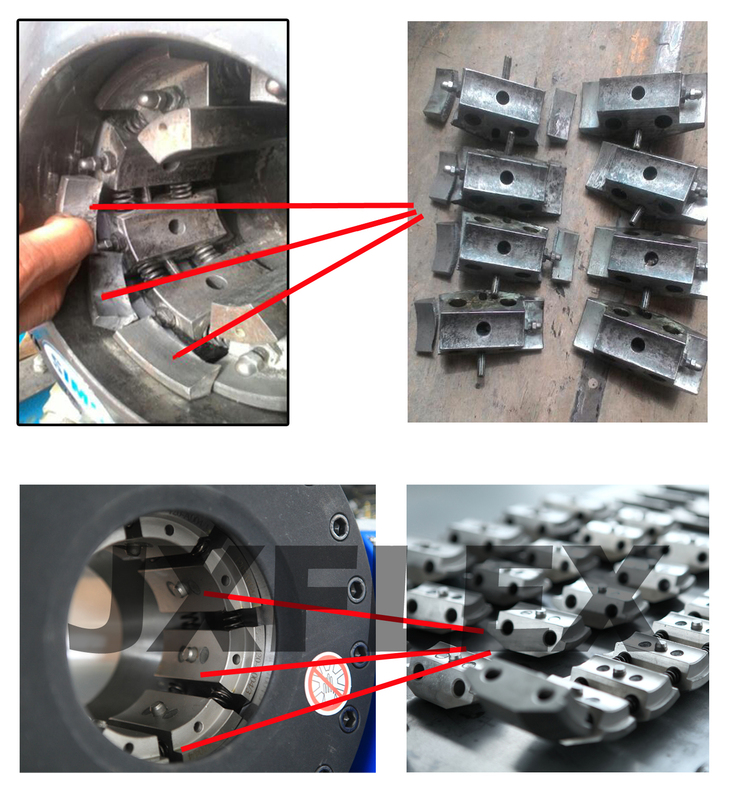 Dies and die base is connected by cutting-the-edge technology of strong magnetic connection, for which our company holds the patent.YJK-32S Manual Crimping Machine is equipped with a high pressure anti-shock gauge, and it's max pressure can be up to 60Mpa. 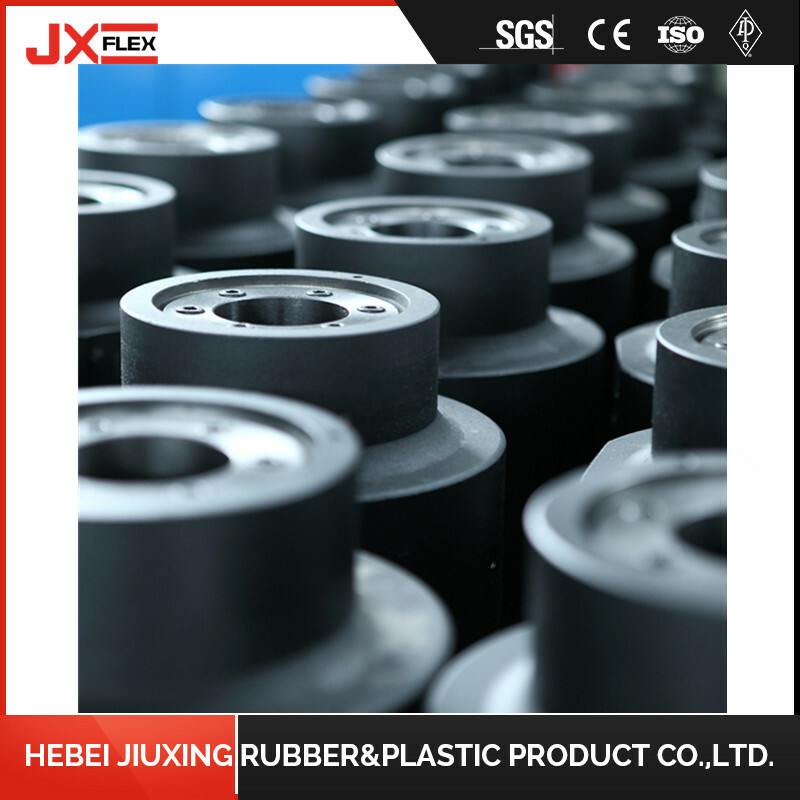 The implementation of standard is GB/T 1227-2002. 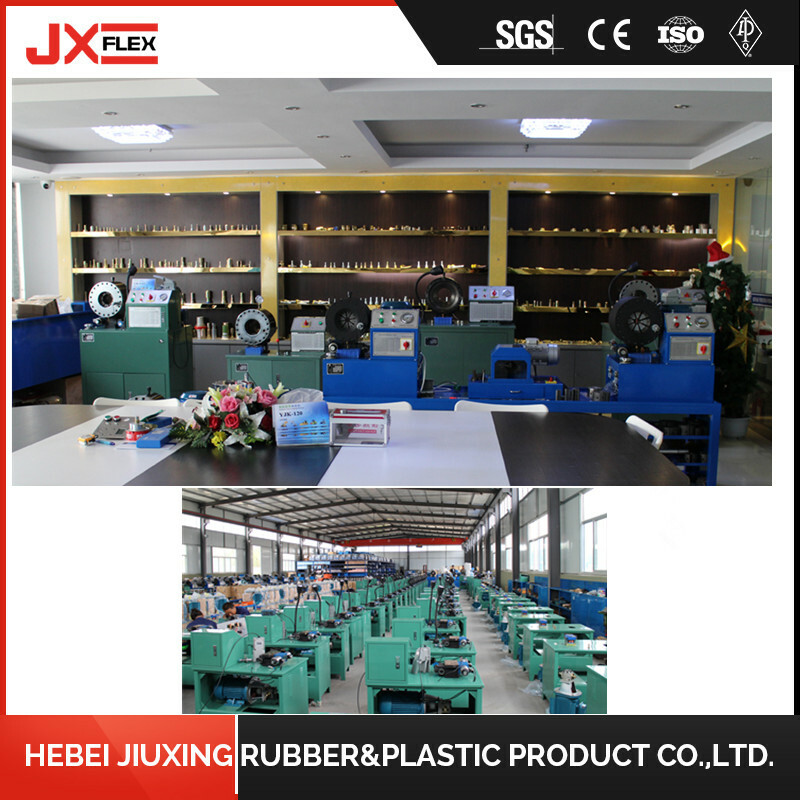 JXFLEX hose crimping machines, the professional manufacturer of hydraulic hose crimpers, cutter, skiving machine, test bench, hoses & fittings assembly and accessories for over 15 years. 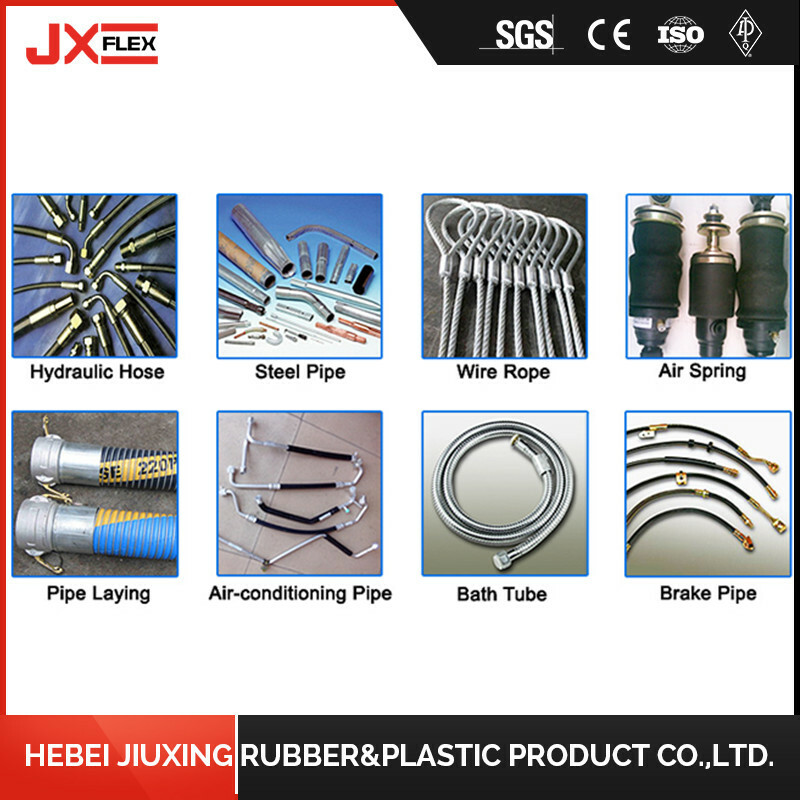 JXFLEX Hydraulic Hose Press supply the Portable, On-site mobile, Workshop and Industrial Hose crimpers, which have widely used in industries of hydraulic repair service of construction machinery, agricultural machinery, vehicle repair, production of industrial hoses, hydraulic equipments, On-site service, oil fields, mining hydraulic prop, greenhouse, galvanized steel pipes etc. 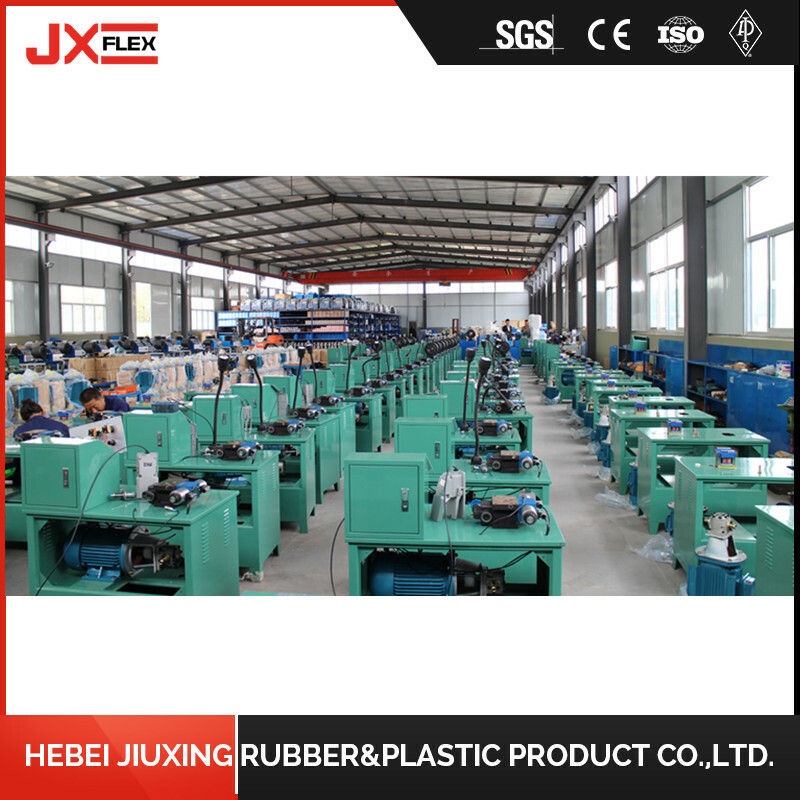 * View our Factory & Office. * Warranty for 3 years. * Training how to instal and use the machine. * Provide free quick-wear part. Looking for ideal Tube Swaging Machine Manufacturer & supplier ? We have a wide selection at great prices to help you get creative. 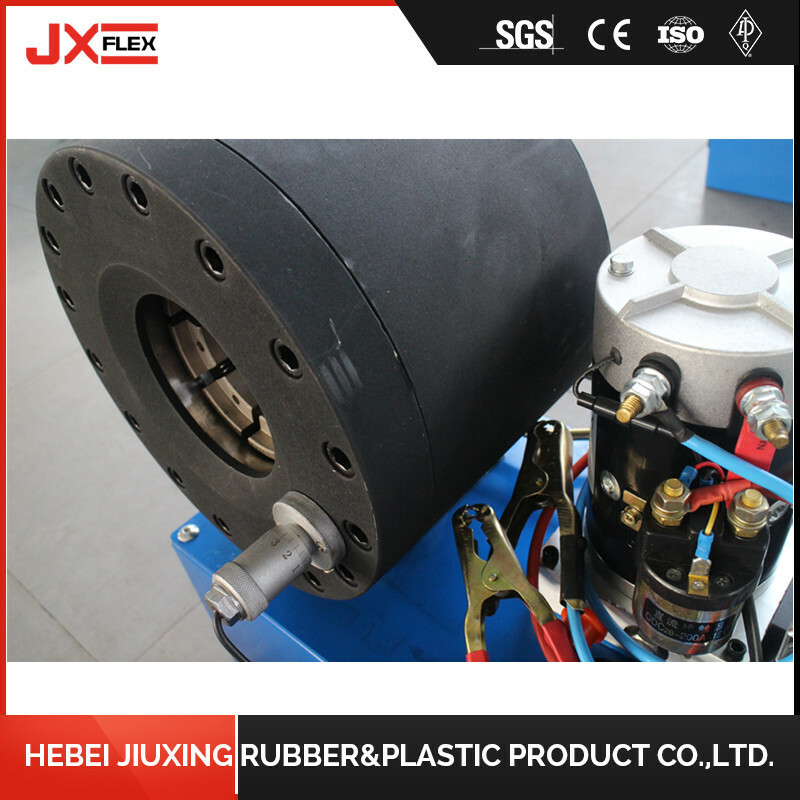 All the Hydraulic Swaging Machine are quality guaranteed. 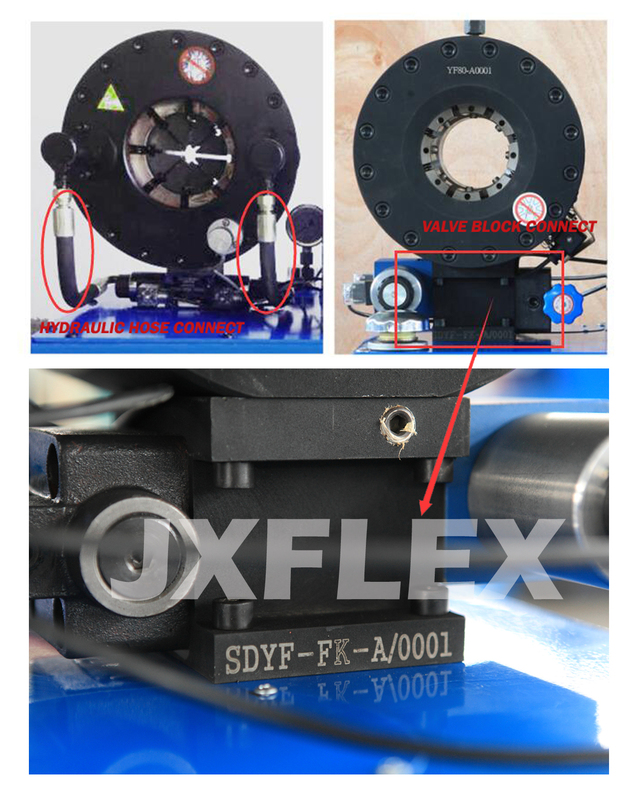 We are China Origin Factory of Crimp Hose Swaging Machine. If you have any question, please feel free to contact us.